Weebly is undoubtedly an easy tool to start building a site and make your online presence in matter of minutes. But the fact remains same unless you realize that Weebly is not the place to build a huge site with 100+ pages due to various issues. Besides list of drawbacks you should be aware of before choosing Weebly, here is a list of problems you will face along with the growth of your Weebly site in the editor. Check out each of the issues and think twice whether you are making a right choice at the beginning itself instead of running into trouble midway for migrating your site to another service provider. The small annoying loading popup is one of the frequent things every Weebly user will be seeing on the editor. This appears for every single action like after dropping any element, switching menus and clicking outside the element after editing. Your site is being saved in Weebly’s shared server’s cache after you drop every element, add a content or upload an image. The time of saving depends on the size of your site as well as the speed of your internet connection. Especially on slow internet connections, you will see the loading message till the time the changes got saved. Weebly introduced a close option on the loading button which will appear when the loading takes longer time. Unfortunately it will not be helpful other than merely closing the loading button. Be aware, if you continue to modify the content when loading message is shown, you will loose the modified content. So the only way is to look at your monitor till the time the message disappears. This will be really annoying especially when you have slow internet connection. Besides the editor itself taking long time to load all the required components, it also throws different types of errors as a popup message during editing. Especially with larger sites, it will be a task for you to upload larger sized videos and multiple images for a gallery or slideshow element. Whenever there is a drop in server connectivity you will see a popup message as shown in the picture below with a misleading information to check your internet connection. It is also not practical to contact Weebly support every time for a lost server connection. Clicking on exit button will close the editor or sometimes log out of your Weebly account. If the loading message appears for long time then most probably you will see a system error as shown below. You just need to close this message, click inside some element and then click outside to retry again. File upload is another issue in Weebly especially with a slow internet connection. When you have lot of images, larger video size or larger PDF file to upload it will take considerable time ti upload the files to server. Though this is not an error message, you will see the below popup whenever there is an updated version of the app you have installed is available. 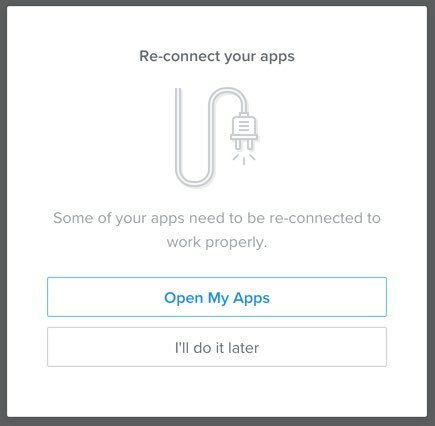 This message will also be shown when the disconnected app is still installed on your site. Weebly site editor had gone through major changes in Carbon upgrade and caused lot of issues. After years, users still report that the elements are not aligning as you drop, duplication of elements when you drop and changes are not saved properly. Though these issues are not appearing on newly created sites, we do occasionally notice them on old sites. Besides various editor errors due to the size of the site, it is a pain for you to modify an existing page since there is no option available in Weebly to choose multiple elements in once. You need to select or delete each element on a page to modify the content which makes difficult to use “Copy Page” option as well. With Weebly 4, you have an option to move or delete all the elements within a section with single click. Your Weebly site may be blocked by your ISPs due to shared hosting problem. Since there is no automatic site backup option in Weebly, you need to download the complete zip archive of your site every time you want to backup. As the site grows in size it will be difficult to download the complete content every time and you will receive a download error from the browser. Hi, I am having problems uploading documents on my weebly education website pages when I work on PC. It uploads, but does not show anything. I can see the uploaded files when I check it on my iPhone or Mac laptop. I have a free account and a professional one. It is same for both accounts. Any suggestion? Thanks! Did you try with another Windows based PC? Does not look the problem is with Weebly in your case. Hi. At some point I learned that Weebly was actually developed by another company that was also a site builder. Do you happen to know who built weebly? It obviously wasn’t anyone that actually works for weebly. Thanks. Not seems to be true as per their about page – https://www.weebly.com/about. I am denied access to the editor to edit my site. Hope you are the account owner and not editing other’s site under dashboard access only role. Thank you so much WebNots for this information! Weebly has been blaming everything but themselves & costing us soooo many hours, days, months trying to fix their mistakes that we have no control over. The Weebly CEO & board are already millionaires for life. They have nothing to lose. We do. WordPress.org is looking pretty good. Thanks again. Unfortunately they do not have expert support for even business / performance plan users. CSS/HTML modifications and embed code elements are use at your own risk kind of stuffs without any support. They spoiled the foundation with Carbon upgrade and continue to build on top of unstable environment. PS – Though we ourselves continue to offer services and tips on Weebly, the first word of caution is to start with other platforms like WordPress as this very own site was moved from Weebly to WordPress.org years back. WordPress has its own glitches but at least you will have a backup to restore at any point of time. I have a lot of trouble editing the Post Title for the blog page on Weebly. My cursor doesn’t “grab” the supposedly edit-able text. Thus, when I post the blog “title” is the date autofills as thet title for that post. Also, when I post a new blog entry, the blog posts the previous blog photos. Any suggestions? I’m finding Weebly blog very, very unfriendly. With Weebly 4, it is clear that Weebly wanted users to rely only on their default themes. There will be no support on custom elements / themes even you are a paid customer. We assume you are using modified theme or else you can report to Weebly. Generally we are not facing any issue in Weebly blog posts. Same problem as others: editing the site is incredibly time-consuming since the edits are not automatically saved…so they disappear…and have to be re-done…and re-done. What a nightmare. Contacted Weebly and got the same tosh: try another browser. And I’m a paying customer. Hacked off. I guess I move to WordPress. Thanks for the advice. I’ve had issues with Site Editor for months. It gives the OPPS! response when trying to access Site Editor. It is intermittent in its connection even though my Internet connect is normal at the time. CS is useless. The last guy said I need to update from Windows 7 to Windows 10 because it is no longer supported even though it is still supported and no issues related to Windows 7 have been identified. Weebly is the only site I have issues with. Plug Ins are not related since I have turned them off to no affect. Weebly claims theey have no issues so it must be at my end. Same with 3 different browsers and two computers. No change in internet connectivity or speed. Any help? Hope you have better time with Weebly 4 now!!!. That’s correct – they did not completely get rid of those carbon upgrade bugs and releasing further upgrades on top that. There are users reported that the content was deleted while moving the elements – so before it happens to you better take a complete backup (though it can’t be restored at least you can copy / paste the content to different platform if something goes wrong). I’ve been having a recurring issue with the spacer element– if I accidentally place it, or simply decide I don’t want it there anymore it will NOT delete. Sometimes. (Often. Often enough to be infuriating, but then every once in a while it deletes cleanly and gets my hopes up for the next time). I’ve tried dragging it out of its position in the layout…and it simply duplicates it. Clicking the delete X looks like it’s going to do something and doesn’t. The only workaround I’ve found has been to either re-build the page, or minimize the size of the spacer to its smallest possible. Both of those options are pretty lousy. Any ideas? Sometimes duplication happens for all elements, otherwise we did not face big issues with spacer element as such. Please check with Weebly support if you are not using custom theme they may help you out. My issue is that I hired a guy for the seo part and ever since he wrote some meta lines in the HTML/CSS header type, the edit picture button completely disappeared from the editor – but only when I choose “title page” under “header type”. Even the published website changed to this. He says it should not affect it and weebly’s support center says as soon as we have a custom theme it won’t update automatically in the future and that I should talk to him – which I have of course. That’s really a tricky question – allowing to modify the theme and not supporting the modifications. Basically Weebly became popular by allowing to edit the source code when other platforms were not allowing this for free users. But custom codes have bigger scope from the support aspect so they don’t even support the business plan users. The real problem arises when you could not find the root cause. In your case you can switch to default Weebly theme and test as they suggested. Thank you for your postings, they have been very helpful as I am considering canceling my subscription to Weebly. I rrecently invested in a 2-year Pro subscription with Weebly, but will most likely cancel this for refund due to the difficulties I’ve experienced with Weebly the ineffective responses from Weebly Support. There is a transition image that is not ‘editable’ via Weebly Edit features. It appears when you shift from page to page. All I can figure is it is embedded in the template coding – perhaps it was the image used in a base template that someone adjusted to create the template. I tried different Weebly templates and received the same result. ‘Publish your website to see if the image appears’. I run a no-budge theater company that does not charge for tickets and that has one person (me) doing all the work to make performances possible. I do not know how to code. I do know that I very much need to find another website platform that works across browsers, whether at home or at work, on a computer/tablet/cell phone, and with a responsive support team that addresses and resolves issues. If you are referring to the header image probably this should not be the reason to cancel the subscription. There will be a background image within theme’s style which is required when you import and export the theme. Generally when you change the header image and apply to all the pages on your site then the header image will change to the one you have uploaded. But the original image will remain intact and will be the one available when you export the theme. Or scan through the main_style.css file for .png or .jpg images to see what’s that image loading on the page transition. Hey i am having these exact same issues! It has gotten progressively worse and worse. Weebly told me it was because of my custom theme, but i copied over the site and put a weebly template over the site and that didn’t minimize the loading time. I have another site that has a way more complex template and have not had issues with that (yet). What we noticed is – any custom theme or code is taking more time than before. Two things to note here – even you have business plan you will be on the same shared hosting server along with free users, secondly Weebly will not support any custom codes on the site. It really depends on the site and speed of the Internet connection you have. My internet connection is anywhere from 40 Mbps – 60 Mbps. Weebly acknowledged that it was not my custom theme because when the site was copied and switched with a Weebly template, the time loading didn’t change at all. Weebly in theory is an excellent CMS for the company I work for, but this issue is causing us to look in a different direction because they cannot figure out what the underlying cause is. The support team has been a pain to work with…it took my like 2 months just to get my ticket escalated to a senior developer. We are now at month four of having our ticket in “escalation”…truthfully I dont think Weebly cares. My biggest concern is building out another site with a different platform and then running into the same issues. I would like to stay with weebly if possible. If it is a server issue, could we be switched to a different sever? Your site is currently shared with 239 other sites on the server 199.34.228.73. You can ask Weebly to switch the server, but we don’t think that will help in editor loading issues. If other sites on your account are working fine then the only thing to suspect is a custom codes (theme or any other custom code). Copying and testing may not be the correct way, since the custom stuffs also will be copied. If you want to test, create a new site with dummy content similar to the live site and with default Weebly theme. If everything is loading fine on the editor you need to work with the custom code provider, asking Weebly support will not be helpful. I luckily back-up my site frequently. i copied an older version of my site (colorid.weebly.com) and then exported my most up-to-date theme of colorid.com…I then imported the newest theme (from colorid.com) to the old site (colorid.weebly.com) … that didnt have any issue loading so it seems to me that it is not the custom theme. what do you think? if it was my theme then it should have taken super long like my main site? what i am going to do now is copy the main site and then try to work backwards to figure out what could be causing this lagging issues by deleting some custom codes that i have put on the site in the past few months. the weird thing though is that the only embed code i have on my site is for H1 tags and youtube/vimeo videos….kind of at a loss of words, but hopefully i can crack this since Weebly wont help. Good to know you are narrowing down the issue. If you have added custom codes other than the theme then you need to remove all those stuffs to further figure out the issue. Ok so you’re thinking that any custom code that was done in the code editor is fine and that I should look into custom code that was placed on the page via “embed code” element? Thanks so much for the responses!! I copied the main site that has loading issues and then deleted literally every page but one. The theme I used was the same theme that I used on the old copied site (mentioned in previous comment) so I know that the theme is not causing to super slow loading. Anyways…deleting all these pages and custom embedded code did not make the editor load faster. Did you get in touch with theme provider? Is this happening after the Carbon upgrade? Finally what Weebly guys are saying or trying to do? Generally, if other sites are working fine under your account with default themes then it should be checked with the custom codes. We do not see any other option here. Alright so Weebly figured it out…it had nothing to do with the theme or custom coding. Apparently they have an issue with the tax setup. The way Weebly does tax (which I am sure you’re aware of) is that if you have to collect sales tax in a state, you must enter every zipcode for that state. We have over 4,000 zip codes that we have manually entered and i guess it is too much for Weebly to handle. The are working on a solution and will have it released in their next update, which should be in the next few business days. I guess 9/10 time the loading issues are caused by custom code… but I found it hard to believe that my theme just miraculously stated slowing down. I had a feeling that the loading issue was being cause by the tax setup because just in the past 4 months we added California, Illinois and Tennessee zip codes. Before that the site was loading great. I kept telling them that I thought it was the zip codes and the support team kept telling me it was the custom coding. I literally just stayed on them everyday until they escalated my ticket to the senior support team. And then when I found this article and you mentioned to create a dummy site, i did that and used it as proof to Weebly that it wasn’t my custom theme. Great to hear that!!! Thanks for recording this it will be definitely helpful to others. What are some better alternatives? Should I learn wordpress, or just pick another hosting site? I’m wondering too how easy it is to convert to different hosts. What I used to update on Weebly in 2 hours a day is taking 4!! So aggravating. I just can’t do it anymore. We would highly recommend to go for a PAID hosting services probably with one of the solid packages like WordPress.org. Of course everything has it’s own pros and cons but building a professional site with hundreds of pages on Weebly is not a good idea any more. I am trying to refresh my Weebly site, deleting some old stuff and adding new etc, however now I am practically unable to edit my site as the editing bar either remains at the top (when I’m working at the bottom). It is impossible to work like this. At times, the editing bar just flashes onto the screen and then disappears. Sometimes the editing bar does not appear at all. I have asked Weebly about four or fives times via email and Facebook for an answer and all they tell me is try a different browser. I use Chrome and have tried Internet Explorer, but the problem still exists and Weebly has yet to fix the problem. They have not been helpful, sorry to say, it seems as if they cannot help and I am left dangling – I am thinking of moving my website elsewhere. Weebly has lost its friendly, helpful and prompt service and I know a number of folk who are leaving Weebly due to the aforesaid. And I am still waiting for answers……….. Yes, the editor became unstable after carbon upgrade and unfortunately they are still trying to change things unprofessionally. Looks the support team do not have any idea of what’s going on technically and also have bureaucratic attitude without the intention to think of the paid customers. Instead of telling to check the browsers better they have a good support team who knows what exactly is going on with their own editor. Also we are trying to test apps from App Center, very sorry to see some apps are not even tested and not working as intended. Clear warning signs for business customers to wake up…we don’t think the commercialized Weebly guys going to change their attitude. An update, it seems as if their problems are even worse than I thought. I’ve have been trying to edit a blog it’s almost impossible, to say the least, the text does not even save and copy and paste – no go! “Design” tab is changed to “Theme” by Weebly.